Happy Friday! And happy day-before-vacation to me – I will be out east for the next week or so. Look for Folderol to return around July 10, maybe a day or two earlier. One of the places I’ll be visiting is the Morbid Anatomy Museum! Woot! Cassandra is here to break your brain. The Myers-Briggs Personality Test is crap! The concept of trophy wives is a myth! Educational technology isn’t helping poorer kids! Julie is here to update you on world news. An English library still exists in the Italian Riviera, and a cave in southern France has been added to UNESCO’s World Heritage List, due to its amazingly preserved prehistoric drawings. Psst. Warren Ellis is sort-of-secretly writing at Morning.Computer. Shhh. For the librarians and researchers among us, here are some PDFs: Rebooting Legal Research (from LLRX) and, more entertainingly, an 83-page document instructing FBI agents on the use of slang on the interwebs. Yes, you might be typing YSMTU (You So Made That Up), but it’s true! Via the latest question in XKCD’s What If? series: WhatPulse measures how much you type. It gets competitive. Really! I'm not making that up, either! Here’s your PSA for the day! Did you know... you're more likely to be bitten by Luis Suarez than a shark. In completely unrelated news, here’s a roundup on vampire hunting kits that have been appearing lately. An analysis of crime has resulted in the news that crime goes up in the summer. I think we all knew that, but now there’s factual proof. Aaron Carapella has made an amazing map of Tribal Nations across North America. The full detailed PDF of the map is here, and I highly recommend studying it. Whoa, Midge Ure AND Tom Bailey AND Howard Jones AND China Crisis on tour together? Wow! If your country’s team didn’t make it to the World Cup, who do you support? The Guardian investigates. Nintendo announced an upcoming new game, Code Name S.T.E.A.M., which features a team assembled by Abraham Lincoln, apparently. I wonder if he cleared this with Queen Victoria. Some Mondays are more Monday than others. Behold the Scribble Pen! It’s the future! It’s pretty amazing, really. If you love the detailed maps and charts in comic books, like I do, you will really love the Comic Cartography tumblr. Book Reels hopes to become the MTV of book trailers. That’s the original MTV, not whatever it is these days. The LA Review of Books has an incredible interview with a 100-year-old former extra in Hollywood. Happy Friday and happy almost-summer-solstice! From Julie: Richard III is getting a proper tomb designed for him. From Bunny via his new favorite website: Which Lion from The Lion, the Witch and the Wardrobe Are You? I also really like their film noir quiz. Retronaut now has a tumblr, and is honoring the World Cup with this frightening image from 1916. It’s good advice, you know. You can buy the shirt this week only! Why do books have that certain smell? It’s due to several different substances, says science. Lots of people seem to operate under the assumption that libraries never ever get rid of books (or anything else, thus the constant influx of National Geographic donations), but libraries do get rid of things, and here’s how they do it. NPR and Ars Technica went in together on a report to discover how much information can be found on someone online. The answer, unsurprisingly, is that one can discover a great deal. Speaking of such things, Hshtags searches hashtags across social media! Kahn & Selesnick are fantastic artists who live in another dimension, more or less. Their latest exhibit is titled Truppe Fledermaus: The Carnival at the End of the World and is in New York this month. Alan Gardner lives in this dimension, mostly, but he's spent most of it on Alderley Edge and strange things tend to happen there. James Ewing has crafted a lovely Wildwood Dowsing Pendulum. If Mercury’s retrograde is too much for you, consider the Retrograde Body Mitten. Not a real item…yet. It’s the triumphant return of the Image of the Day! Oddity Central is a great website, and through them I found the work of Dmitry Tihonenko. A steampunk-themed bar in Romania looks like it would be at home on the Nautilus. Casey Kasem was the voice of Shaggy, Robin and the American Top 40, and Negativland is honoring him by offering their U2 track as a download. Hurry and get it before Bono finds out! Happy Monday. Mercury is in retrograde and things may get a little hectic. In the meantime, here are some arty links! Theatre: The Scottish play comes to New York and the sets are amazing, and also unwieldy. Art: In Croatia, abandoned cranes turn into gorgeous light sculptures! Sound: Really, this is about the absence of sound – there’s a designated National Quiet Radio Zone in West Virginia. No cell phones, no wifi. Happy Friday! Not only is it Friday, it’s Friday the 13th with extra Honey Moon action. Wow. From the same source as the Honey Moon link: look out, solarstorms are predicted. Slate has a series of maps showing the leading cause of deaths for each state. What I have taken away from this is that people in Florida are terribly accident-prone. I recommend they be extra cautious on this Friday the 13th. It’s World Cup season again! Bill Lucey has what you need to know about Brazil. No "OK" signs, for instance. Have you heard of Little Albert? I hadn’t, until reading this article. The genealogical search is what fascinated me, but the psychological ramifications are intriguing, too. Behold, the first children’s picture book. At least, this is the first known one. Brochures from computer history are just as amazing as you might expect. Who wouldn’t want a Zebra computer? If you’ve ever wondered what the Spooky Librarians get up to at night, wonder no more (don’t worry, it’s safe for work) – we play board games! Arkham Horror took us through the long winter. If you’re also intrigued by Lovecraftian horror, check out this amazing display inspired by The Case of Charles Dexter Ward. And in additional prop-related material, here’s a fantastic interview with Roger Christian, the set designer for the original Star Wars. Down with the seven-day week! There aren’t really any good proposed alternatives, however. Nate Silver predicts Brazil will triumph at the World Cup. Place your bets accordingly. One of my favorite parts of visiting New York City is seeing all the art in the subway stations. Now, thanks to the NY Train Project, you can travel virtually along the lines, see each station’s mosaic design, and learn some interesting facts, too! It’s just Manhattan at the moment, but it may expand. Well, this is a rotten way to start the week. The People’s Poet is dead. RIP, Rik. The Rubin Museum in New York City has an occasional “dreamover” event, where people sleep under paintings and then talk about their dreams. This sounds awesome. Puppet theater is trickier than it looks. They’re calling this item found in a shipwreck a “Byzantine iPad.” It’s more a multi-use toolkit, but I guess that’s a valid comparison. Happy Friday. It’s the 70th anniversary of D-Day. The BBC has details on the live commemoration events, and Google has a nice multimedia display going on, too. In a completely incongruous coincidence, it is also National Doughnut Day. So…have a doughnut and remember our veterans, I guess? From Cassandra: revisiting the strange case of Phineas Gage. From Bunny: “Old school D&D action in flash form – Dungeon Robber.” I am totally trying this out later. From Julie: recreating the homes of the Neolithic people who built Stonehenge. Also from Julie: Look out, they’ve found the Necronomicon! Or something a bit like it, any rate. Related to absolutely nothing else in today’s post: Zap Rowsdower has a Facebook page. “Try and find Narnia inside the wardrobe” is a fitting description of what it’s sometimes like to be a researcher. The International Consortium of Investigative Journalists has a great profile of Paul Myers, who has one of the best jobs ever. Looking for specific news? Try YouGottheNews. 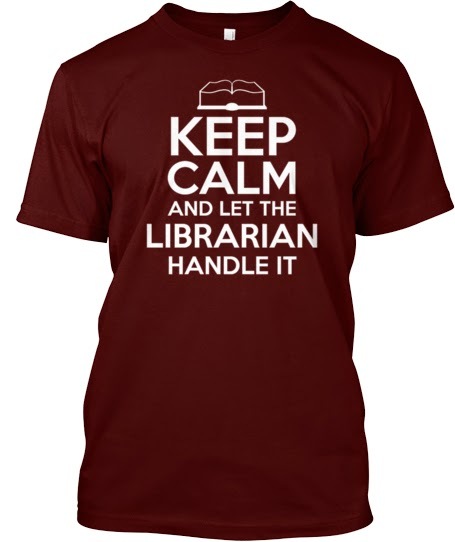 Is anyone headed to Internet Librarian this fall? Here is a prop recreation I can completely geek out about: the blowpipe of the Rametep cult in Young Sherlock Holmes. It even works! Nate Silver does some statistical magic to show how you can guess someone’s age by their given name. Did you know Gotham City has defined borders? As of 1998, anyway? There are a lot of horrible things going on in the world, and sometimes it seems overwhelming. I think it helps to pick one small part and try to improve that, rather than getting caught up in the enormity of it all. With that in mind, Jimmylegs has been doing yeoman’s work in NYC to help the feral cat population, and if you’d like to help defray veterinarian costs, Encore the cat would be grateful. Like a (somewhat wonky) dirigible, the Steampunk Librarian has been slowly sailing toward the horizon. However! I’ll still be writing some reviews and possibly other stuff as well over at the Pandora Society, so check over there occasionally. In somewhat related news, steampunk is a “new romantic movement.” I was already a New Romantic in the ‘80s, so I’m not sure what this makes me. New New Romantic? Newest Romantic? The Guardian has a series called Photography Then and Now, which shows a historic photo and then how the same location looks today. Never has it been more effective than their latest installment, which portrays the landscape of D-Day. The future is inching even closer. Take a look at SCiO, which is a scanner displaying information for practically anything. Their Kickstarter seems to have been, um, rather successful. Well, so much for seeing Johnny Rotten in Jesus Christ, Superstar. Bummer. Environmentalists and poets often work together, but this is new: a poem which actively reduces pollution! It’s hard to find photos, but the Guardian article has a small picture. Will no one think of the victims of Japan’s Great Mascot Culling? The mascots need you! Meanwhile, an otter with arthritic elbows took up basketball to help his joints. He’s gotten really good at it, too.